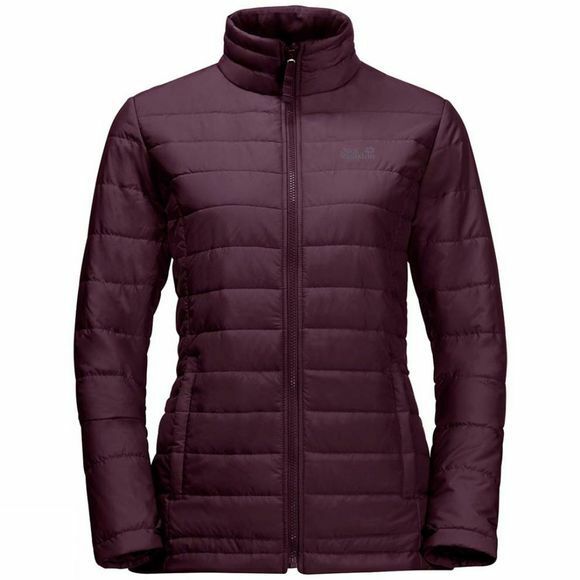 The Womens Monterey Bay Coat from Jack Wolfskin is made entirely of recycled materials, it's also good for the environment. With its clean look it works well with a blouse or blazer, and is smart enough to wear to your busIness meetIngs.You also get the full-spec Functionality you need when you're out and about In Winter weather. 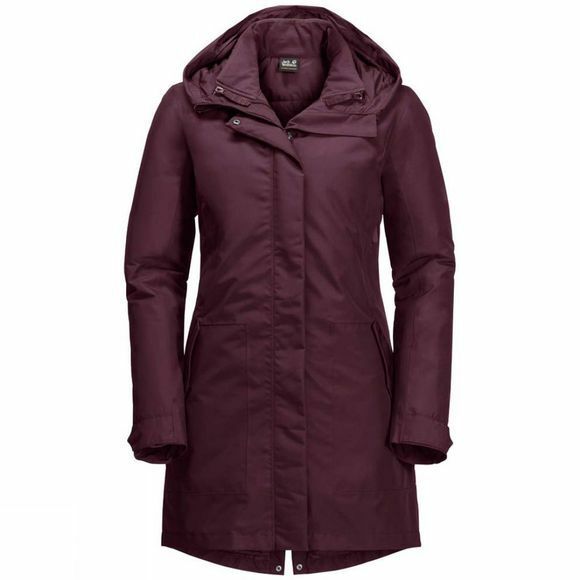 The outer Coat keeps you dry even In persistent rain. It also features an Innovative synthetic fibre Insulation material that is Light, robust and Insensitive to moisture. The big Hood can be styled the way you like it: opened out, folded back or buttoned up–it's entirely up to you.Underneath the weatherproof outer Jacket there is an Insulated Inner Jacket–for that extra boost of warmth on icy cold days. And when it's not that cold, you can simply unzip the two Jackets and wear them separately to suit the weather conditions.